My last post was about the tumultous and stressful journey, but perhaps like a good metaphor, the difficult ride brought me to a place of peace: in this case, Calabria. The two nights and day and a half there were precisely the defaticamento I needed- the medicine to return me to un-tiredness as I recently put it. 1) Sitting still. The entire weekend was about sitting, talking and eating. It wasn't about sightseeing. It wasn't about discovering a new city or about any one event or physical activity. It was about being happy sitting perfectly still in one of two places: at the house or on the beach. And I was indeed that: perfectly happy. 2) Enjoying good company: In the world of a type A personality and endless lists, sometimes spending time with friends and family as part of a community gets overlooked; it doesn't always make the list. Though this wasn't my family, I definitely felt a part of it, temporarily adopted for the weekend. We were welcomed, hosted and included as family members and it was a nice reminder about why reunions and family get-to-togethers are so important for balance. 3) Being present: It tends to be a habit in most environments, certainly in the most of the conversations I have gotten into in the U.S., to talk about the future: plans, career direction, where to live, what to do in the coming years etc. This weekend, I noticed that the questions about my future rarely came up. The ratio was 10 adults to 2 kids so it wasn't just that everyone's hands were full. I think there is something about having small children around that generally makes talk of the future not as omnipresent. Who knows: maybe it is because people intrinsically realize that being a baby has a time limit. Watching children grow for the couple years of their lives physically embodies the feeling that "time flies." So perhaps people don't want to talk about the next year because the newborn will be gone. The baby will be walking. The toddler will all of a sudden be in school. It is nice to be fully in the moment: not to seize the day by doing everything humanly possible within those 24 hours, but to just be present and enjoy that particular, August 13. 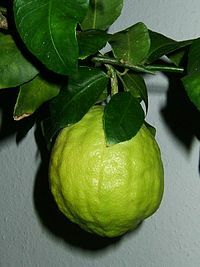 A fruit called cedro: The big, fat wrinkly lemon/limes here are a different type of fruit altogether called a cedro. One blog elucidates that the main difference, aside from some physical aspects, is that lemons (limoni) grow on trees and cedri grow on bushes. Sea Urchins are tasty: Apparently you can eat the inside of a sea urchin. I did not. I'll blame it on the fact that I am a vegetarian instead of blaming it on my cowardliness. The others vow it is delicious though. Speedos are still king: Though generally speaking, speedos are quickly disappearing off of the face of many Italian beaches, in Calabria, they are still distinctly popular. You know what, why not? If girls can wear boxers, why can't guys wear speedos? I would put boundaries on this particular right however. Running on the streets in a bright red speedo and nothing else but running shoes, as we saw one man do on the streets of Guardia, is a bit over the line... rule of thumb: speedos should generally remain in the vicinity of water. Really great Posts! I've enjoyed reading through your blog because of the great style and energy. I have a blog on travel theme. It contains hundreds of great stories from travelers who love to share their journey with the world. If you're interested, we would love to have you on as a guest blogger. Please send me an e-mail and I can give you more information. Looking forward to hearing from you. Thanks for your note. Yes, I am definitely interested. Could you send me the address of your blog and any other details of what you are looking for to livinglikeatourist@gmail.com? I look forward to learning more about your blog!